This tweet went out yesterday and as you can see… 30K+ retweets and 30K+ likes! 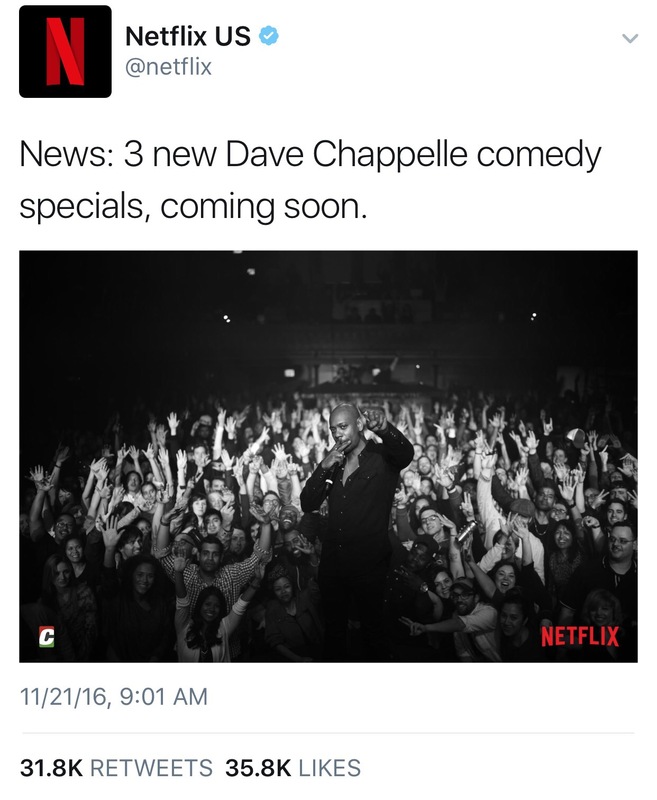 This coming off Chappelle’s amazing showing on SNL 2 weeks ago! Stick to the website for when the specials will drop! Previous Previous post: Why You Shouldn’t Stage Dive..